There’s something fishy about St. Joseph, Mich., now through Sept. 21. 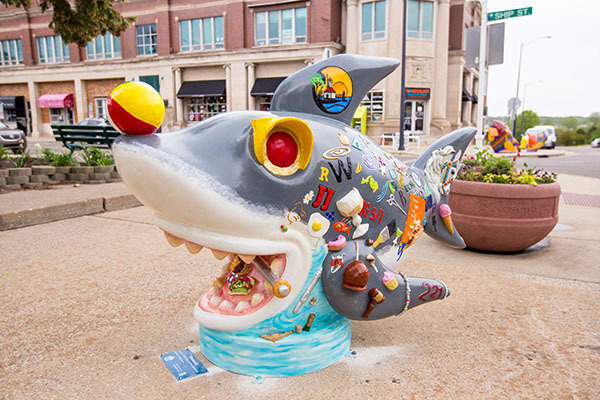 In this Lake Michigan resort town, you can see 19 fish and shark sculptures lining the downtown sidewalks and below the bluff, plus one shark sculpture at the New Buffalo Welcome Center on eastbound I-94. They are part of the Fishing for Fun in St. Joseph public art display. 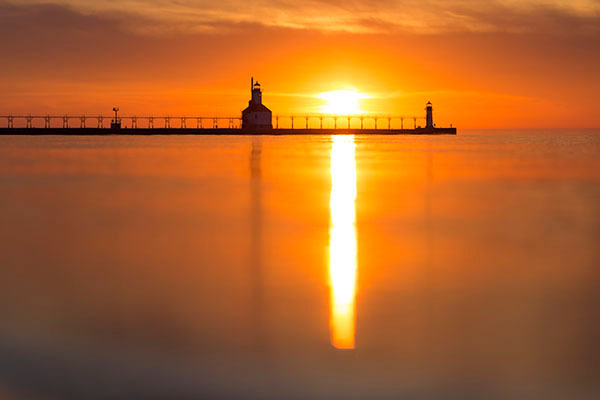 Southwest Michigan residents and visitors have an incredible new opportunity to discover firsthand the importance of Lake Michigan to our local heritage through St. Joseph Lighthouse Tours (which includes an optional walk to the top of the tower)! Summer is so close you can almost taste it! 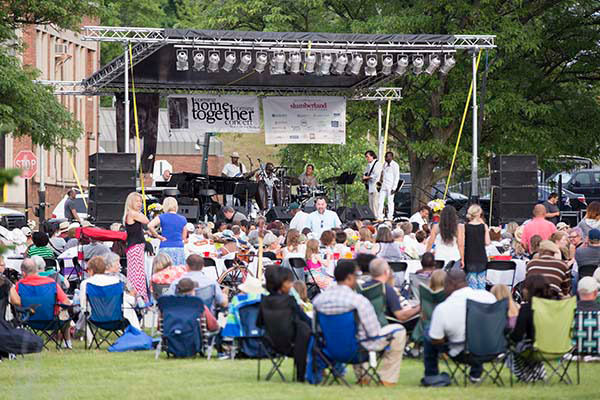 That means Southwest Michigan will soon be filled with fun festivals and events. But what makes our festivals stand out from the rest? What makes Southwest Michigan Sweet? The food scene in Southwest Michigan has been exploding in recent years with the addition of new restaurants, wineries and breweries. 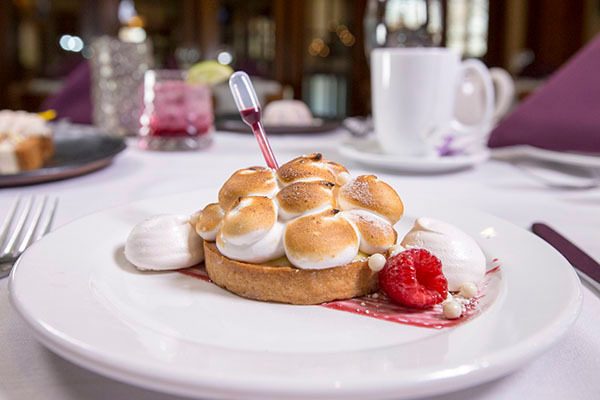 But where do locals go for sweet treats, decadent desserts and a caffeine buzz? 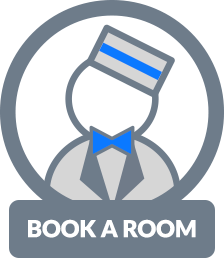 With so many places to choose from, it’s hard to narrow down the list but here are a few of our favorites to help sweeten your stay. Southwest Michigan is home to the vibrant and artistic Twin Cities of Benton Harbor and St. Joseph. 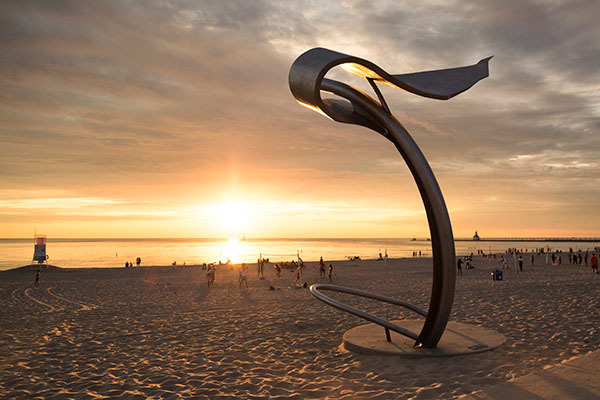 Visiting the waterfronts of Lake Michigan and the St. Joseph River, walking along Lake Boulevard in St. Joseph or exploring the Arts District of Benton Harbor soon reveals that there is a wide range of artists and artworks integrated throughout the community. In particular, there are several publicly placed outdoor sculptures and monuments. Why are they there and where did they come from?